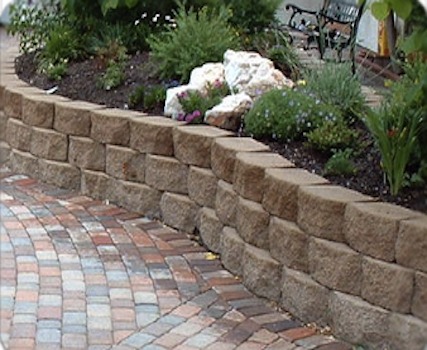 Retaining walls is a broad term in masonry work. When you start to look around your neighborhood, you’ll notice different types of walls in your area. 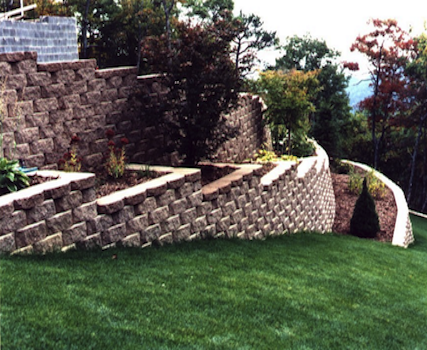 Nashville Brick Mason can make stylish brick and stone retaining walls that will stand out. Retaining walls, as the name implies, usually retains something; they can provide extra support to buildings, help slow down soil erosion in hills, but they can also add value and style to your property. A sloped yard can be transformed with lush landscaping built into several retaining walls, constructed in series of levels extending down into the slop. Walls can also be built to prevent rainwater and snow melt from pooling in areas of yard. These pools can cause damage to your yard or existing landscaping. And, depending on your property, they can be used to create extra outdoor space for outdoor entertaining and storage. Retaining walls are not just the boring and practical structure that they may at first sound to be. Walls can be built to create lovely accents in stylish designs to add value and beauty to your home and property. Nashville Brick Mason can elevate your landscaping with unique and inventive designs, whether with bricks, blocks, or stones.